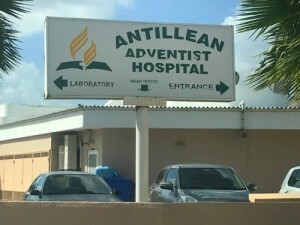 WILLEMSTAD - The Advent Hospital has tried through the Health Inspectorate to kick its gynaecologist Charles Edwards out. He had performed a number of caesarean sections and that was forbidden by the Inspectorate. But according to the judge, that has nothing to do with their quarrel. Today the two see each other again in court. Now it concerns the compensation and the penalty payment. Advent only wants to pay 17,500 guilders. Edwards says he is entitled to nearly 250,000 guilders.